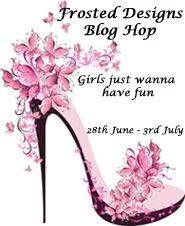 Welcome to the Girls Just Wanna Have Fun blog hop!! Mums, daughters, girlfriends, sisters, mother in laws, could be any photo you've had with any other lady in your life, a photo you have with mum on your wedding day, or you and your daughter on a holiday,even a party with the girlfriends, the list goes on. If it's a card or OTP project, it just has to be girly, the more girly the better. Stay tuned for information on how to link up your project! If you found me first, please go to the BEGINNING of the hop so you don't miss anything. 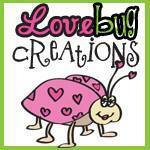 Welcome to Scraptown Lady - Scrapbooking Supplies from The Ozarks! Scrapbook supplies at prices you can afford. Scraptown Lady is located in the Branson, MO area near Forsyth, Missouri in The Ozarks. Cheryl has been a scrapbooking enthusiast for several years and not only offers great deals on scrapbooking supplies, but also holds classes where you can hone your art. We offer such products and services as EVENTS AND CLASSES, ADHESIVES, EMBELLISHMENTS, TOOLS, INKS, CHALKS & MIST, PAPERS, READY FOR ART ALBUMS, TAGS, CHIPBOARD AND WOOD, DIES, STORAGE, RUBBER, CLING, SILICONE & CLEAR STAMPS, EMBOSSING INK, POWDERS & FOLDERS, GLITTER, RIBBON, LACE & FIBERS, PAPER AND FABRIC FLOWERS, DECOR ITEMS, PAPER TAPES, BLANK CARDS AND ENVELOPES. All of these supplies can be purchased here on our site. If you aren't able to find that special something, let us know and we will be happy to special order something for you. What makes our store extra special is the fact that we do not charge your credit card until we have found the very best possible shipping option for your purchase. Often times with other sites, you end up spending more on shipping costs than you do on the actual product. We take pride in had processing each and every order to keep your costs down. Tell a friend or neighbor about us. How can you win? Easy!!! Just create a "girlie" project - the girlier the better!! Then link it up at Frosted Designs. You have until July 3rd to enter!!! I am not really a girly girl, but I do have some great friends and love to use a bit of bling in my life. I wanted to make something practical (as I am afraid I am very practical) so I struggled a bit before deciding on my project. What better way to celebrate having fun with your friends, than to place their photos right where you can see them everyday!! I bought a framed picture at a garage sale....for the frame. I discarded the glass and back but kept the print for another project. I painted the frame blue. After it was dry, I used sandpaper to sand off some of the paint for a shabby chic look. I taped jute to the back to see if it would look like the design in my head! It did, so off to the garage I went for my husband's staple gun. I tied a knot on one end and stapled the jute to the back of the frame. I pulled the jute tight with each staple. I tied a loop and stapled it to the top of the frame so it could be hung up easily. Here is the frame - not very girly at this point!! I cut out the word FRIENDS from Nursery Rhyme and cut it out in black vinyl. I put some of my son's senior pics (from HIS friends) on the clips to check for size. I added some bling to my mini clothes pins. I hot glued these silk flowers to the corners. Now I just need to add some current photos of my friends and hang this by my desk!! Girls just wanna have fun - but we all have fun in different ways! We need to celebrate our friendships and cherish the times we spend together!! As a busy baseball mom, I spend lots of time at the ball field! When I have extra time, I like to shop and craft with my girl friends. What do you like to do with your girl friends? 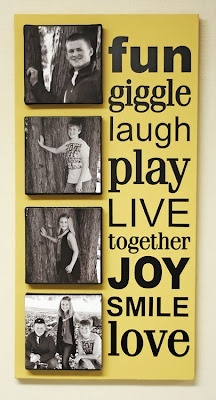 Don't forget to link up your project at Frosted Designs for a chance to win one of two prizes!! Your next stop is MANDA! I have been playing with Square 1 Masterpiece Repositionable Adhesive Fabric and I have to say - this is by far my favorite project I have made!!!! I bought these canvases LAST summer to make something for my cousin's wedding. She never got me the photos I asked for so it just sat and sat and waited for a different opportunity. Take the wedding photos from the left and put them on the canvas and add wedding words - that was my original project. Being a baseball mom, it just hit me to create a baseball canvas. I did not want to mod podge photos onto the 4x4 canvases, so I just copied them onto the repositionable fabric on my copy machine/printer!! This stuff is amazing and the best part is - as Tanner grows I can replace the photos!!! If you want to find out more information on this product, just go HERE. It is on sale through Sunday, June 30 2013!!! I trimmed three of the photos to 4x4. The last photo I kept 4x6 because it was going in a scrapbook page. I trimmed the photos and put them on the canvas pieces. You just peel them off the backing like a sticker! If they go on crooked - no worries!!! You just try again! You can see I was stuck on the vertical positioning at first. I came up with my own baseball sayings and they were not fitting in the space, so I turned it horizontal. I used my gypsy and MyCutSearch.com to find all my fonts!! I use MyCutSearch all the time to find images on cricut cartridges. I did not know how to search fonts until I asked. I wanted to share what I learned with you - so HERE are the directions with photos!! I cut the words out in vinyl and transferred them to the top half of the canvas. I adhered black ribbon around the edges of the canvas. I used washi tape, a ruler and my 12x24 cricut mat to space my small canvases on the bottom half. I love that washi tape doesn't stick too well for this project!! I used hot glue to adhere them down and peeled the washi tape off. Here is a side view so you can see the dimension. I originally covered the small canvases with ribbon, but did not like the gaps it had - so I took it off. Tanner played his first season of select baseball this year and we are coming up on our state tournament. I am very proud of him!! He is 7 on an 8 year old team. He has been watching his brothers play baseball his entire life and now is his turn!!! I purchased frames with special mats for his brothers several years ago and can not find anything similar now. I have to say, I like this one MUCH better than his brothers frames!!! I am working on a Disney Mini Scrapbook Album. We are going to Walt Disney World in September and I usually pre-decorate the pages for Tanner's autograph book. Now that is is almost 8, he is more excited about the rides than he is the autographs. The cover of this album I found at Michaels was pretty plain, so I had to fix that!!! I am decorating pages for our Character Meals only and you can see some of these pages HERE. The rest of the pages will be decorated generically for photos. For my album cover, I used Square 1 Adhesive Backed Fabric. You can learn more about this product HERE. I used my Cameo and the Disney Font to cut out my letters. I just used my blade set to 2 for vinyl and the Silhouette Vinyl setting on my Cameo. The rest of the cuts on this page are for other projects (I like to maximize my product by sharing cuts). I used transfer tape to stick down my title. I wanted to use this fabric white, but you can print it, paint it or even ink it. I popped in an old picture of Tanner with the Incredibles from a few years ago. I will replace it with a picture from our trip once we return. I used Square 1 Masterpiece Repositionable Adhesive Backed Fabric for this project. One of the benefits of this product is that it can be removed and re-used. You can find out more about this amazing product and/or order some HERE. 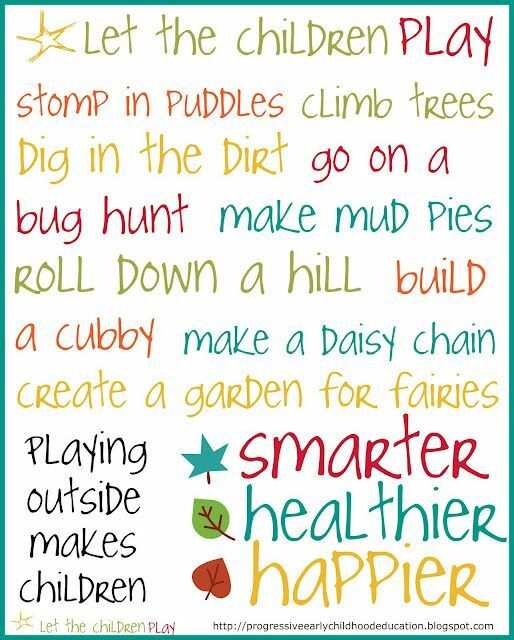 I really like subway art and wanted to make some for my in-home daycare. I found two different subway art posters, one for every day and another for birthdays. I purchased a hard canvas sized 8x10 at Michaels to adhere the subway art to. I plan on adding to my Subway Art collection for holidays as well. I found these on Pinterest and you can find them HERE and HERE. I printed them out onto a sheet of Adhesive Backed Fabric and let them dry a few minutes. The "Let Children Play" image had a blue border around it so I used my paper trimmer to trim it down. I stuck it down on the center of the canvas. I then peeled it off and put it back onto the paper backing. I trimmed the "Happy Birthday" image a little too short on the bottom. In order to fix this, I just stuck it down on my paper trimmer and trimmed off the top!! Worked like a charm!!! I then peeled it off my paper cutter and put it back on my canvas. I switched back the "Let Children Play" art and displayed it in the daycare kitchen. I am having fun exploring this product!!! You can use (and re-use) it in many ways!! I am linking this up at Pink Cricut's Link Up Party! 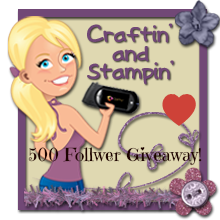 Craftin' and Stampin's Birthday Blog Hop! You should of arrived here from Diana's Blog! If you have not, please start at the beginning HERE! I met Jessica on FaceBook in a blog hop group. I love how she opens up her craftiness to others!!! She and I also share a love of the color purple and Disney. I decided to make my card in purple for her! I love making window card with my Gypsy. I also love personalizing cards - so it just made sense to create a 34th birthday card for Jessica!!! 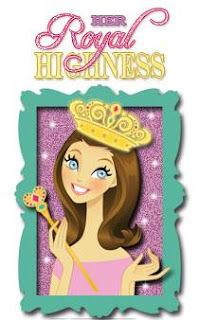 Hallmark doesn't make 34th Birthday cards - but I do!!! I started with this card base from Don Juan and sized it to 4 inches. The numbers are from Sweet Treats and are sized to 2.29 inches. Once I got them sized, I copied and pasted another set onto my mat. I grouped and welded the numbers inside the window opening. I cut out the card base in white cardstock. I moved the card to the left so the front half only was on the mat and used the chevron paper from Mambi Cards pack to cut out the front side of the card. I cut out the numbers and the sentiment in purple cardstock. I did not use the sentiment. I adhered the patterned paper to the front of the card and then I adhered the numbers on the card. I used orange and yellow stickles to create the flames on the candles. I tied some purple twine on the left side of the card. Window cards are fun to make and you can weld just about anything inside the window!! What would you weld inside the window? Now, its time to go on to Pam's Blog! Duckies - 2 projects in 1! !